Does the idea of selling your home make your heart race with anxiety? If you’re like many people, selling a home feels like a long, hard mountain to climb. There’s marketing your home, having open houses, and more. And that doesn’t even assure you’re going to get a fair price! Speaking of fair price, have you ever wondered how to determine the fair market value of a home? Is it just dependent on what someone is willing to pay, or is there more to it? There are several ways to think about the value of your home. You can consider how much you paid for it, but obviously, that’s not very accurate. The home may have gone up in value – or down – since you bought it. Plus, you may have paid more or less than a fair price. 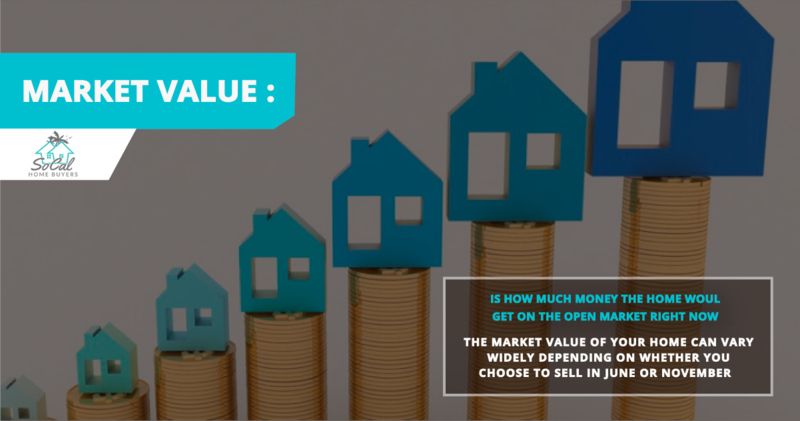 One way to value a home is by looking at market value. The market value is how much money the home would get on the open market right now. That’s a better starting point, but it’s still far from perfect. If the market has a shortage of homes available, you’ll get a high price estimate. If the market has a lot of homes available at the time when you are planning to sell, you’ll get a much lower price. 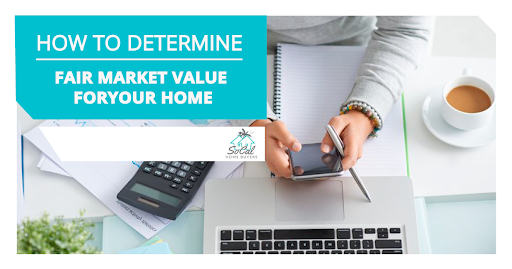 The market value of your home can vary widely depending on whether you choose to sell in June or November – meaning this is not a very good measure of what price is actually fair for your property. 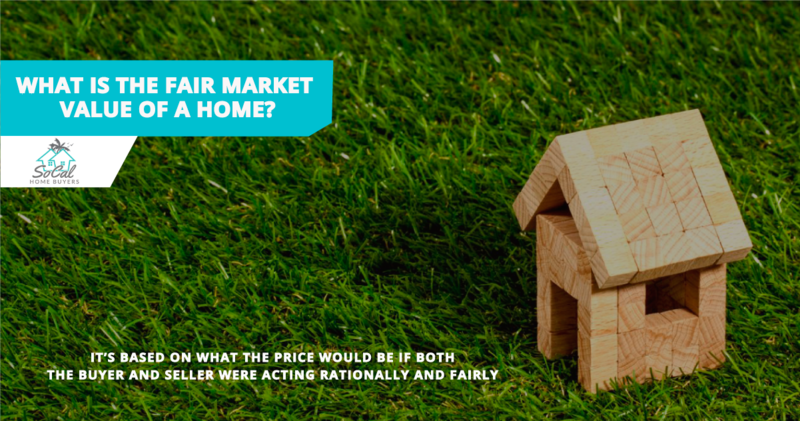 The fair market value is similar to the market value, with one important change – it’s based on what the price would be if both the buyer and seller were acting rationally and fairly. If a seller isn’t misrepresenting or overpricing their home, they’ll set a fair market price. If a buyer isn’t trying to cut corners, save money, or con a seller, they’ll offer to pay a fair market price. That price is the real value of your home, which is what makes it so hard to determine. Fair market value is used by banks when you’re trying to refinance a home, or by an insurance company who is determining a settlement for a house fire that is a total loss. Courts use fair market value when transferring an estate to a relative or inheritor, as well. Why Does Fair Market Value Matter? The fair market value is the best true value of your home. It can help you understand if you owe more than the home is worth – also known as being “underwater” on your mortgage. Property taxes are also determined based on fair market value. The IRS uses fair market value to make sure people don’t sell assets for especially low prices to avoid tax implications. For instance, you cannot sell shares of a business for $1 to your friend or relative to avoid paying capital gains on your portion. This is also vital if you have a home you’ve been renting out for a long time and you’re ready to sell. You want to make sure you get a fair price, without the wheeling and dealing that makes you wonder if you’ve been taken for a ride. Finally, if you’ve had a family member who passes away, the court will use fair market value when determining how much a relative should pay to buy it. It’s also a useful valuation for heirs who want to sell a home that’s part of an estate. Real estate is an asset that can be hard to value because it’s not easy to convert to cash on a moment’s notice. 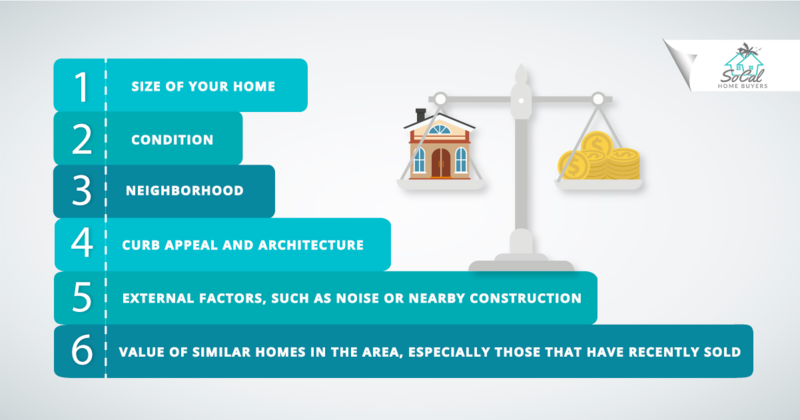 Knowing the fair market value of a property will help you know where you stand when you’re valuing a property, especially when you’re planning to sell. It would be amazing if there was a set calculation for fair market value, but unfortunately, there’s not. Well-meaning online estimates can be off by a huge margin and are not very useful. The good news is that there are professionals trained to look at specific aspects of your home who know how to determine a fair market value for you. Hiring a professional licensed appraiser is the best way to get an accurate fair market value for your home. A licensed appraiser looks for a variety of factors about your home to come up with a value. External factors, such as noise or nearby construction. Value of similar homes in the area, especially those that have recently sold. Because an appraiser is paid a flat fee no matter what value they come up with, they are less biased than a real estate agent, who may be tempted to overvalue the home. A licensed appraiser is also specifically trained in home valuation. When you’ve owned a property for a long period of time – or have inherited a home – you’ll need to know the fair market value so you can get the price you deserve for your home. If you’ve recently inherited a home, you probably have no idea what the value of the home is today. This is especially true if your relative lived there for a number of years. Unfortunately, you also don’t know how well your relative cared for the home or what the true condition is. As a result, it can be impossible to know how much the property should be valued at for the estate or how much you can sell it for. Fortunately, knowing the fair market value will give you a strong starting point that is recognized by banks and courts alike. If you have a house that you’ve been renting out, you may decide that you’re tired of being a landlord and decide to sell those assets. However, you need a fair price before you let it go. As a landlord, you’ve taken excellent care of the home. A licensed appraiser can make note of that when they set the fair market value of the property, helping to reassure potential buyers. Because you’ve had the house for a number of years, you need to make sure the sale price takes into account any changes in value over time, as well as the development of the neighborhood around you. You may find that the value of your rental home is far more than you initially thought. Interested in a Cash Offer for a Home? If you have a home you recently inherited, it can seem like a long process to actually sell the property. The same can be true if you’re a landlord who’s ready to get out of the renting business. The good news is that you can sell your home for cash quickly. We’re proud to serve those in Southern California who need to move a property quickly and for a fair price. Contact us for an offer today!